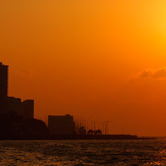 In Cuba, 220 miles south of Miami, real estate is considered hotter than any other commodity on the world market today. But most Americans and foreigners so far are mostly shut out of this potentially lucrative product. That's because Raul Castro, President since 2006, has become an ardent pro-business advocate in a Communist country. He is allowing Cuban residents to buy and sell their own homes. That has never happened in such volume since Raul's ailing brother Fidel took over the island country 54 years ago. But while bonafide Cuban residents may be enjoying what they perceive as a real estate revolution, foreigners, meanwhile, are blocked out of this new market. That has been the situation since 1962 when Fidel Castro seized nearly all foreign-owned real estate in Cuba without giving them a peso for it. At that time, Fidel, now 88, nationalized most private companies. He also confiscated property belonging to Cubans who fled the country. Raul so far is not saying whether his government would give back those properties to Cubans who later return to permanently reside in Cuba. 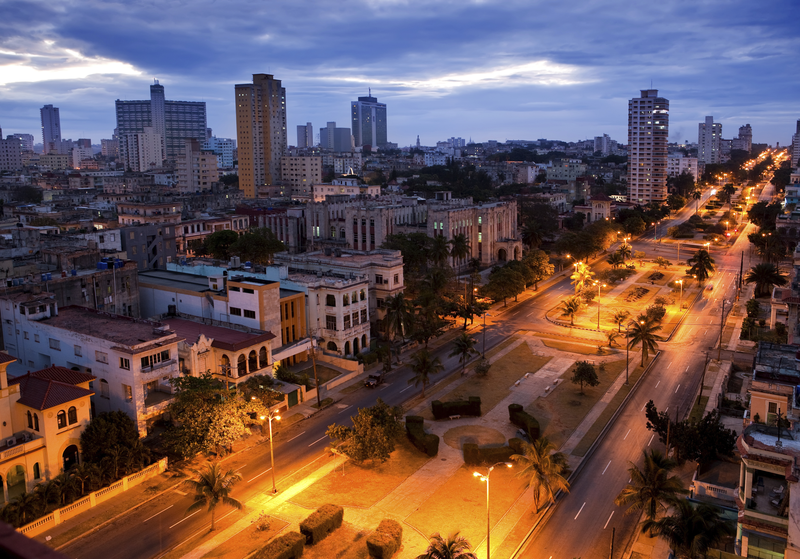 So what can frustrated, cash-loaded American and foreign investors do right now to enter the Cuban real estate arena? Nothing legally by Americans specifically, based on the Trading With the Enemy Act passed by the U.S. Congress in 1961. But plenty of action is possible in under-the-table activity involving Americans and foreigners. For example, an American investor could consider funneling funds to a Cuban resident friend in Cuba to purchase properties and hold the title under the friend's name. The hope here is that Raul Castro's government, sometime in the near future, would allow non-Cuban Americans to legally buy real estate in Cuba with no restrictions attached. The risk, of course, is that such a move by Raul might be many years away, thereby leaving the property in the Cuban friend's name for an unknown period. Another example of how some non-American, non-Cuban investors are skirting Cuban property purchase laws, involves the investor marrying a Cuban woman and both beginning to live permanently in Cuba. The property could be bought in the woman's name. She would hold the title for life. And if the two divorce, the property remains in the woman's name. True love would have to blossom and endear in this situation. But what about Cuban Americans now permanently living in South Florida and other U.S. locations? They, too, would be shut out of the market under the U.S. Trading With the Enemy Act. However, there are more loopholes around for them than there are for other American and foreign investors. For instance, right now Cuban Americans can send $8,000 annually to relatives and others in Cuba. On top of that amount, they can also bring with them up to $10,000 in cash each time they visit the island. Using that formula, Cuban Americans quickly could be accumulating thousands in funds for their relatives to buy properties -- in the relatives' names, of course. The hope is that Raul Castro might change the regulations in his lifetime to allow Cuban Americans to buy in their own name. Although the current real estate rush in Cuba sounds exciting to Cuban residents at least, there still remain several roadblocks, even for them. 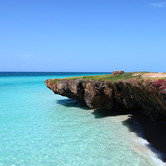 For example, permanent resident Cubans can own only two homes, a primary residence and a vacation site. This allows the government to continue keeping tight control over the market. So can a non-American, non-Cuban buy anything at all right now in Cuba? The answer is yes, with qualifications. There still are around two dozen dilapidated apartment buildings developed 20 years ago in the Havana market. Foreigners are allowed to buy them. And unconfirmed reports from Cuban Americans claim those properties are being scooped up quickly. Additionally, Raul Castro previously announced his Communist government has decided to go ahead with long-delayed plans to develop a golf resort and sell million-dollar-plus villas, townhouses and apartments to foreigners and Cuban residents - but not to legitimate Americans, of course. That project's development and completion, however, are perceived to be five to 10 years away. 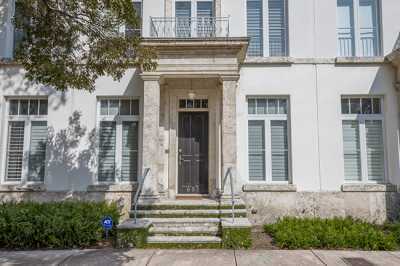 But how can Cuban residents today find out what properties are available in their own home markets? Not easily, because most Cubans still don't have Internet access because the government hasn't gotten around to building a working cyberspace infrastructure for them to use. The ban on cell phone use was only lifted in 2006. Instead, many Cubans turn to local weekly or daily penny-saver-like shopper tabloids that sell for pennies to a dollar a copy. According to Cuban-American real estate broker Pablo Tacon, who is opening a new office in Havana this month called Cuba Tacon Inmobiliaria -- it's a tale of two markets in Cuba. Simply put, there are two different ways in which Cuba's real estate market functions; one for the locals, the other for outsiders. Tacon tells The World Property Journal, "One market is called Permuta, which is for Cuban Nationals only as the buyers and the sellers amongst themselves, with the Permutaeros as agents; the other is for foreign investors only with particular designated properties and intermediaries." 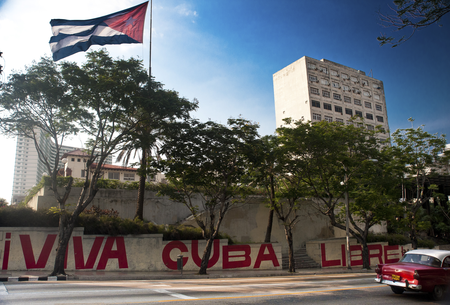 In many ways, Cuba's way of transacting real estate today is archaic, opaque and fragmented. Yet, given it natural beauty, proximity to the Florida, thawing U.S. political relationship and global tourism allure, Cuba could deliver big results in the coming decade for property speculators worldwide.